Iron has an important role to play in the production of hemoglobin. If hemoglobin is low the problem is known as anemia. When it comes to low iron during pregnancy, you should know that pregnant women have higher chances of suffering from iron deficiency. Nonetheless only few women require iron supplements. It is possible that the problem is visible at the earliest stages of pregnancy. However in some cases the problem becomes obvious only during the last weeks of pregnancy. Normally during the first visit to their doctor, women have a blood test to find out about the iron levels. After the results the doctors may suggest women to take iron supplements, especially in case the iron levels aren’t in the normal ranges. It is important not to take iron supplements unless women really have to. Some of the women find out that they are anemic at the early stages of pregnancy as a result of the blood tests. 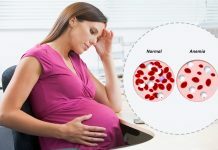 You shouldn’t think that iron deficiency during pregnancy is caused by pregnancy itself. Most probably they had low iron levels even before they got pregnant. Usually the cause of the problem is that the diet of women didn’t contain enough iron before they got pregnant. The vegan and vegetarian women are very likely to have problems of this kind if they don’t plan their diet carefully. There are some other causes as well that could lead to low iron while being pregnant. 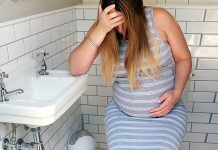 These include having heavy periods before pregnancy, donating blood on a regular basis, having experienced a miscarriage a little while ago, conceiving after being pregnant less than two years ago or having gone through an operation a little while ago. It is also possible for the iron deficiency not to be present at the early stages, but to appear during pregnancy.